Uganda said on Wednesday it was banning 38 non-governmental organizations it accuses of promoting homosexuality and recruiting children. …Ethics Minister Simon Lokodo told Reuters the organizations being targeted were receiving support from abroad for Uganda’s homosexuals and accused gays and lesbians of “recruiting” young children in the country into homosexuality. “The NGOs are channels through which monies are channeled to (homosexuals) to recruit,” the minister, a former Catholic priest, said. He did not name which organizations were on the list. 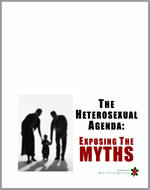 …”I have got a record of meetings that they have held to empower, enhance and recruit (homosexuals),” Lokodo said. Lokodo has personally led a raid on an LGBT rights workshop in Entebbe last February, and he raided another one on Monday. Ironically, the topic of Monday’s workshop was on monitoring human rights violations. Meanwhile, Uganda’s MP David Bahati, who currently holds the position of caucus chair for the ruling National Resistance Movement in Parliament, said yesterday that he expects Parliament to begin debate on the Anti-Homosexuality Bill sometime during its next session, which begins next week. Despite persistent reports to the contrary, the Anti-Homosexuality Bill still includes the death penalty. Mohammad Ndifuna, the director of Human Rights Network Uganda, one of the organizations to be banned, said the minister’s threat was part of a larger attack on civil society in Uganda. “We know that they have been all kinds of threats coming towards the (NGO) sector for different reasons,” said Ndifuna. When is the U.S. going to cut any aid sent to Uganda? Hit them where it hurts, in their wallets. Let them know that anti-gay legislation is not OK.